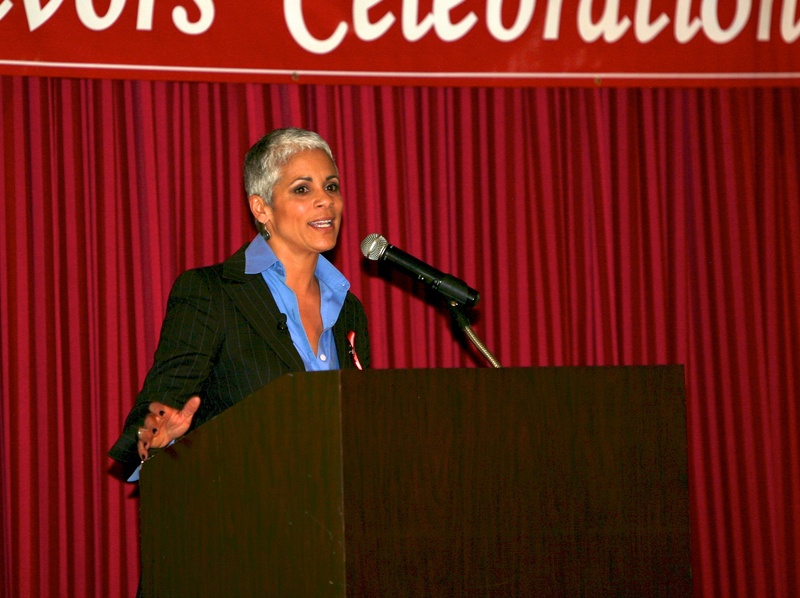 The first annual Marin County Survivors Gala Celebration was held in Novato at the Stonetree Golf Club on May 19, 2011. This event was a reunion for both survivors and rescuers, and was held in conjunction with Emergency Medical Services Week of 2011. The Survivors Committee members reviewed multiple medical and trauma cases that illustrated lifesaving efforts from bystanders, pre-hospital providers, and hospital personnel. 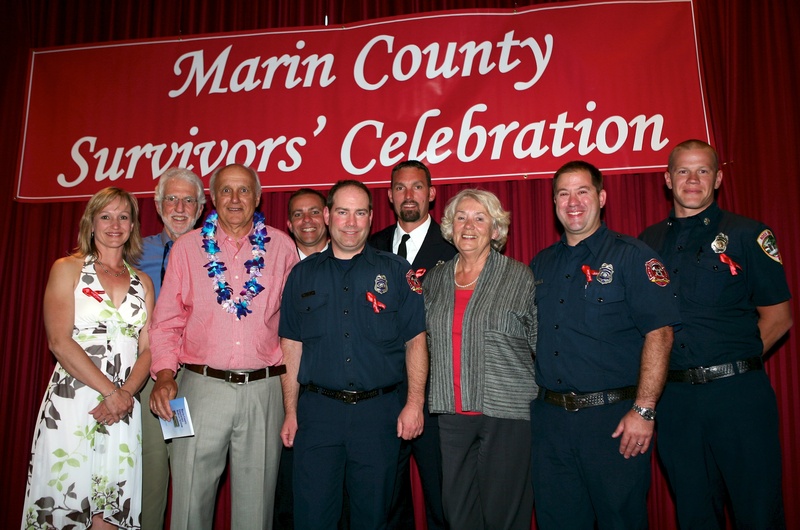 Five very special Marin County residents were selected along with their rescuers and care providers to be honored at this event. California State Assemblyman Jared Huffman gave the welcoming keynote, and KPIX News Anchor Dana King, a Marin County resident, led the reunion. 16 year old Gunnar Sandberg was born to play baseball and was doing just that –pitching for his Marin Catholic team when a line drive shot back at the young pitcher, landing him on the ground with a terrific blow to the skull. Gunnar, down but not unconscious, was taken by the Ross Valley Fire Department across the street, to the Marin General Trauma Center. He was diagnosed with a skull fracture and brain contusion. Admitted to the hospital, Gunnar’s condition suddenly deteriorated the second day. “He became increasingly restless and had neurological changes right under the watchful eyes of his parents and the ICU nurses. We knew instantly he needed emergent neurosurgery,” said MJ Boyd, Trauma Program Director for MGH. Gunnar’s neurosurgeon, Dr. Nguyen, worked feverishly to reduce the rapid swelling in Gunnar’s brain – if the surgery and treatment failed, Gunnar faced certain severe and permanent brain injury, if not death. Meanwhile, the entire high school sports community rallied to Gunnar’s side – not just Marin Catholic and not just baseball teams. Track teams, basketball teams – they wore white tape around their ankles or wrists with Gunnar’s number 17 written on them. Even opposing teams from out of county showed their support. The opposing team who had been playing the day of the accident held a fundraiser. There were candlelight vigils; signs of support for Gunnar and his family were everywhere. Gunnar had thousands of people rooting for him and his family. Two weeks went by and Gunnar showed no sign of improvement. And then the tide turned; slowly but surely, Gunnar started improving. He was transferred to California Pacific Regional Rehabilitation Center where he underwent physical therapy, speech therapy and occupational therapy. In May of 2010, Gunnar threw out the first ball at the Giants vs. A’s game. He is now fully recovered and back with his teammates at Marin Catholic and playing ball, pitching and running the bases. As a result of Gunnar’s injury, school baseball teams changed their policies to prohibit aluminum bats – and a new helmet, designed to better protect players from head injuries, was designed and released by EB. Gunnar’s struggle also brought to light the incredible heart of our community here in Marin and the recognition that we were all on the same team when it really counted. Moments later, George knew something was very wrong and called 911. He had a history of heart problems, he told dispatch, and he said he thought he was having a heart attack. Two Fire departments responded – Ross and Corte Madera. The crews found George sitting on a log in the parking lot, ashen and sweating; his blood pressure was dangerously low. The cardiac monitor showed a dangerously fast and potentially lethal heart rate – he needed to be shocked immediately, or his heart would surely stop. It took two shocks to get his heart out of this lethal rhythm and back to beating normally. The Corte Madera medics took him to Marin General Hospital where the cardiac catheterization team was waiting for him. Fortunately, he had not had any heart damage, but he did need an internal defibrillator in case of any further cardiac episodes. A few days later, George walked out of MGH – he and his wife feeling very lucky indeed. George got back into action after that – golfing, body surfing in Kauai and alpine skiing. He hasn’t yet returned to Phoenix Lake on his mountain bike – yet. 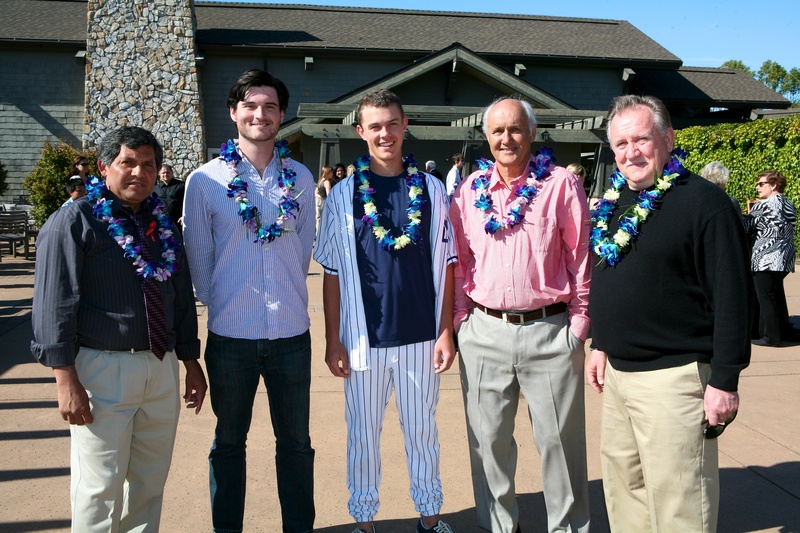 (l-r) Survivors Rene Ismael Martinez, Zack Koblick, Gunnar Sandberg, George Halmos, and John Richter at the event. 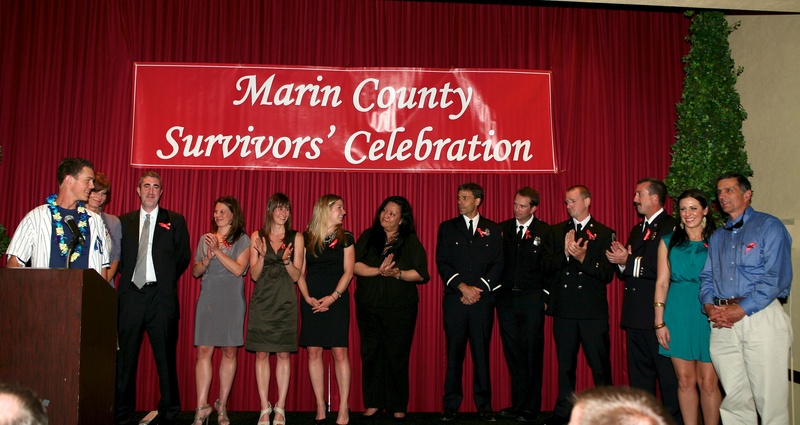 (l-r) Survivor Gunnar Sandberg on stage with some of his rescuers and caregivers. Emcee Dana King with Gunnar Sandberg. 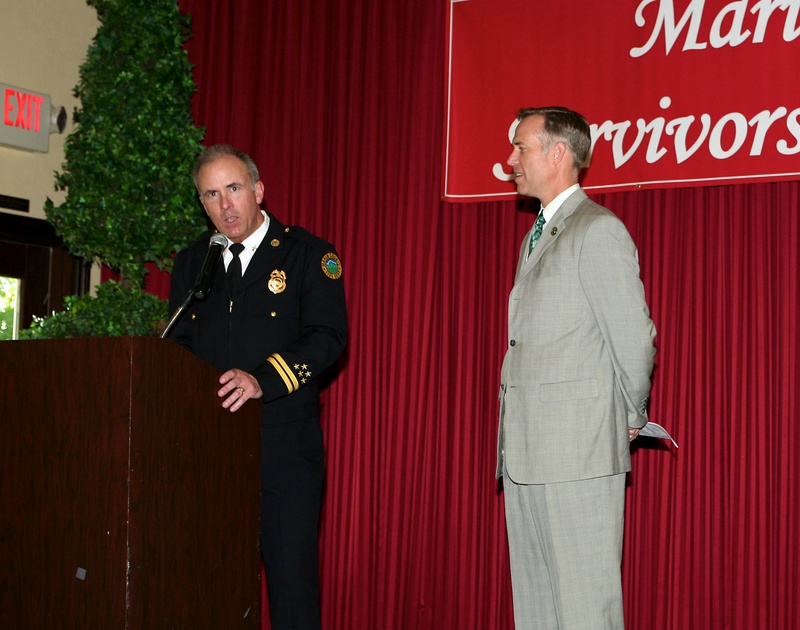 (l-r) Marin County EMS Battalion Chief Mike Giannini indroduces Keynote Speaker Jared Huffman. Survivor George Halmos on stage with some of his rescuers and caregivers. RVPA operates as an essential component of an integrated system of local fire departments, hospitals, and EMS professionals. Marin General Hospitals Cardiac Catheterization Lab’s rapid response to heart attacks ranks in the top 5% of all hospitals in the U.S. RVPA is considered to be a key contributor to that ranking. — Bruce Hart, Member, MGH Board of Directors, and Board Member, RVPA. RVPA Paramedics arrived within minutes and quickly transported Grady to Marin General Hospital. On the way, they administered nitroglycerine, started an I.V., ran an EKG and called the critical medical data ahead. 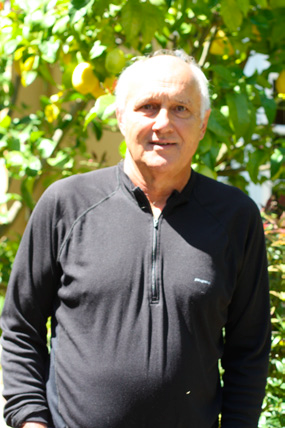 At 10:00 p.m. on Tuesday, May 12, 2009, Dr. Eric Tepper had just finished what was, for him, a typical workout session at Gold’s Gym in Corte Madera. He had returned to the locker room to shower and go home. As a practicing physician Dr. Tepper was well aware of the benefits of exercise and so twice a week, for years, Dr. Tepper had shown up at the gym to complete his cardio and circuit weight training routine, sometimes with a personal trainer. This night, however, went very differently for him. As he sat down in the locker room, there was a sudden pressure in the middle of his chest. The pressure quickly accelerated from mere annoyance to the sensation that he had “an elephant sitting” on his chest. “I was already sweating from my workout, but the sweat started pouring off of me” he remembered. He knew instantly he was having a heart attack. Very fortunately for him, the personal trainer happened to be in the locker room at the time — Dr. Tepper said, “I’m not sure I would have made it if someone hadn’t been right there to get help.” He asked the trainer to dial 911, as he was having a heart attack. The trainer used his cell phone to dial 911, but was put on hold. Dr. Tepper had the presence of mind to tell the trainer that “a landline would be quicker.” The trainer, Ben Brock, ran to the front desk and directed them to call 911. Within minutes, the Corte Madera Fire Department arrived. Paramedics Jordan Russell, John Higgins, and Paul Hager, along with Firefighters Glyn Jones, Andrew Lappert, Andrew Calvi, and Ryan Fischer, realized immediately what was happening to their patient. “He looked awful – pale, cool and he was sweating profusely,” said Paramedic John Higgins. They administered 4 baby aspirin, took his vital signs, attached the cardiac monitoring device to his chest and performed a 12-Lead ECG, a test that could identify the heart attack and where the damage was occurring. Dr. Tepper saw the printout of his heart attack and realized that he was in serious trouble. “I didn’t panic. I wasn’t frightened. Really, all I could think about was the pain, which was relentless. The guys from the fire department were so calm, so efficient — they clearly knew their business, which was a relief.” The medics gave him nitroglycerine and morphine to relieve the pain, but neither worked. The ambulance drove “Code 3” (lights and siren) to Marin General Hospital, giving the hospital the heads up that they had a critical patient who needed to go to the heart catheterization lab immediately. Dr. Gerald Young was there and, after a brief examination, verified the serious nature of the heart attack. Dr. Tepper, on a gurney, was taken quickly to the cath lab. A large artery that supplied blood and oxygen to his heart muscle had become clogged. It needed to be opened immediately if he were to survive.